Over the last few decades, electrical loads in an automotive system have evolved from lighting and battery charging towards infotainment, sensors and safety, thanks to component miniaturization. This has made the car smarter and more fun to drive! 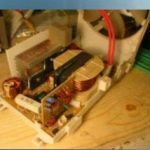 While the trend of electronics in infotainment systems continues, a future trend is electronics in power train systems for better engine propulsion, like the engine blocks, transmission and controls. Incorporating electrical loads and replacing the conventional mechanical and hydraulic loads in the power train improves efficiency. This trend is seen with more and more focus on electric vehicle concepts – hybrid (HEV) and pure (EV). This trend is also expected to lower C02 emission standard requirements. 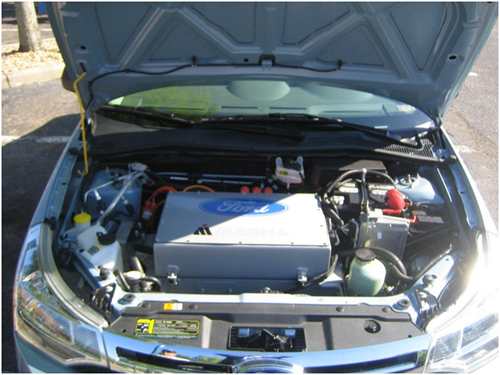 This increasing need and demand makes the conventional 12V power system more challenging. As such, it is critical to have higher voltages in order to handle power train loads more efficiently – and with flexibility. 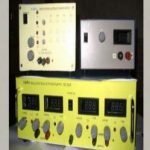 Switched-mode power supplies (SMPS) provide the basis to do so. This is made possible due to advances in power electronics. In other words, having different power-conditioning systems between the battery and loads is a way to accomplish this. Additionally, higher fuel efficiency standards have been mandated in several countries across the globe. To be clear, fuel efficiency is measured in terms of miles per gallon (MPG) for fuel injection vehicles, and miles per charge for electric and hybrid electric vehicles. Implementation of power electronic circuits makes the system smaller and lighter and, therefore, provides the basis to improve the fuel efficiency as well. 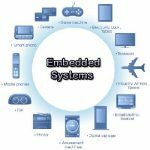 Power electronics systems exclusively use silicon based power management with power semiconductor switches. 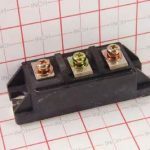 These switches are power metal-semiconductor field-effect transistors (MOSFETs), insulated gate bipolar transistors (IGBTs), and a variety of diodes that have made significant improvements in their performances. As mentioned earlier, systems operated by a 12V battery is becoming more challenging. New architectures are based on a 48V system for internal combustion engines (ICE) and HEV systems, whereas an additional 400V-200V system is used in EVs. Incorporating high voltages makes system wiring less complex and lighter. This has a direct impact on lowering the vehicle’s overall weight, in addition to overcoming other disadvantages in the 12V system. Examples of loads that can be driven from the 48V system are generator/ starter, electric power steering, electric roll stabilization, electric AC compressor, electric heating, and electric pumps (water, oil, and vacuum). Switched-mode power supply (SMPS) is based on semiconductor devices that operate in ON and OFF states. Operating in these states, in theory, implies no power loss at either of these states (zero current during off state and zero voltage during off state). Theoretically, this implies 100% efficiency. The switches are turned on or off using a technique known as pulse-width modulation (PWM). Also, these switches can operate under high switching frequencies, making the power converters less bulky and smaller in size. Based on this information, three types of power conditioners can be realized in automotive power train systems: AC/DC (rectifier); DC/DC (converter); and AC/DC (inverter). Several basic topologies are available for these power-conditioning systems based on the electrical load safety requirements – classified as isolated and non-isolated topologies. In general, both types of topologies are adopted in power train systems. This depends on the loads and standards requirements. Regardless of type, market adoption is trending towards a soft-switching concept using an LLC or resonant mode. Soft switching means that the switches are subjected to lower stress, which implies a longer life and higher reliability of these converters, very vital for automotive markets. There is a bi-directional power supply converter for both EVs and HEV/ICE, namely 400V-12V and 48V-12V, respectively. To convert electrical to mechanical energy in order to run the vehicle, motors are required. Previously, DC motors were implemented for their simplicity and ease of control. However, DC motors are unreliable and show lower efficiency compared to AC motors. Over the last couple of decades, tremendous progress has been made in building controllers for AC motors. Moreover, AC motors are physically smaller with fewer parts that significantly improve its reliability. Therefore, the power stored in the battery (EV, HEV or ICE) must be converted from DC to AC in order to run AC motors. These inverters, called traction inverters, usually transfer power in the tens of kW range. Hence, the switches used in these topologies (full bridge) are IGBTs (individual or intelligent power modules, depending on the current requirement). Regardless of power conditioning system type (DC/DC, AC/DC or DC/AC), all require controllers and gate drivers. 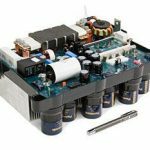 Currently, the choice of analog or digital controllers is highly dependent on the vehicle or power supply manufacturer’s requirements. This includes cost, flexibility, integration, reliability and availability to write firmware (for digital controllers). Likewise, the choice of gate drivers is dependent on the drive current that in turn is dependent on several factors. This includes the semiconductor switch it needs to operate, reduced component count (single channel versus bridge drivers), features such as dead-time control, and adaptive delay to avoid shoot-through between high-side and low-side switches and isolation, to name a few. Texas Instruments has several automotive grade analog and digital controllers and gate drivers to turn the power electronic switches on and off. Anyone opening the hood of a car can feel heat radiating, especially after the car has been driven for a while. This is because the power train system with the engine as one of the sub-systems (internal combustion or motor) operates at temperatures exceeding 125 degrees Celsius. less space. This makes the car lighter, and improves vehicle reliability due to lack of moving parts. As space or size comes down, power density gets higher. This is true especially for higher power transfer in the kW range, typical of power train systems. The problem, however, is heat dissipation. Therefore, in addition to reducing the overall size, managing the thermal issues is another key factor towards improving fuel efficiency. Using commercially available power electronic switches, such as silicon-based MOSFETs and IGBTs, there are limitations to overcome. Alternatively, wide-band gap semiconductors such as silicon carbide have much higher operating temperature (known as the junction temperature), thermal conductivity is two to three times higher than Si, higher breakdown voltage, and has a capability of switching at much higher frequencies with negligible power loss. The higher operating temperature of the silicon carbide allows the circuit to be placed close to the location where the temperatures are high. High thermal conductivity of silicon carbide eliminates the need for big copper blocks and water jackets. Higher switching speed in the MHz enables the overall power circuitry to become smaller in size.